Future Market Insights (FMI) this week published the market report Gaffers Tape Market: Global Industry Analysis and Opportunity Assessment 2017-2027 showcasing the increasing opportunities in the gaffers tape markets. The accompanying press release to the report stated, “One of the significant factors contributing towards the growth of the gaffers tape market is the rampant growth of (the) industrial tape industry.” This started a hearty discussion at FindTape about gaffers tape and common gaffes made in understanding the reasons people use or don’t use this versatile tape. As the demand for packaging increases so does the need for tape. The market report comes to the same conclusion, “The introduction of gaffers tape over duct tape has provided the manufacturer a wide range of packaging advancements.” While we applaud the increasing need for tape and more advanced options it is important to note that gaffers tape may not always be the right choice for shipping packages. The main industry users of gaffers tape include the entertainment, photography, hospitality, theater and audio production industries. Gaffers tape - also known as gaff tape - is primarily used to secure cables to floors, walls and other surfaces where you do not want a sticky residue left behind. Clearly, this is not the packaging industry as stated in the summary report from FMI. Although it can be used for packaging, due to its water resistant backing and other factors, gaffers tape will be a costly choice. Military specifications, such as ASTM-D 5486M-99 Type IV Class I (replaced PPP-T-60E Type IV Class I) and CID A-A-1586A, are examples of where gaffers tape is the right choice. It's about using the right tape for the right application. The FMI press release explains that “Global Gaffers Tape market is segmented on the basis of product, backing material, and application. On the basis of backing material, gaffers tape market can be segmented into polypropylene, paper, PVC and others.” Technically speaking gaffer tape is defined as being vinyl-coated cloth with a matte finish and completely removable from most hard surfaces. Any other “gaffer” tape is really just gaffer-style. The companies identified in the FMI market summary as "Some of the major players identified across the globe in the Gaffers Tape market are Henkel AG & Co., KGaA, 3M Company, The Dow Chemical Company, Avery Dennison, Ashland Inc. and H.B. Fuller. ", is misleading. These companies are adhesive and raw material suppliers not manufacturers of the end-use product. The major players in gaffer tape manufacturing are Shurtape, Polyken and Scapa. 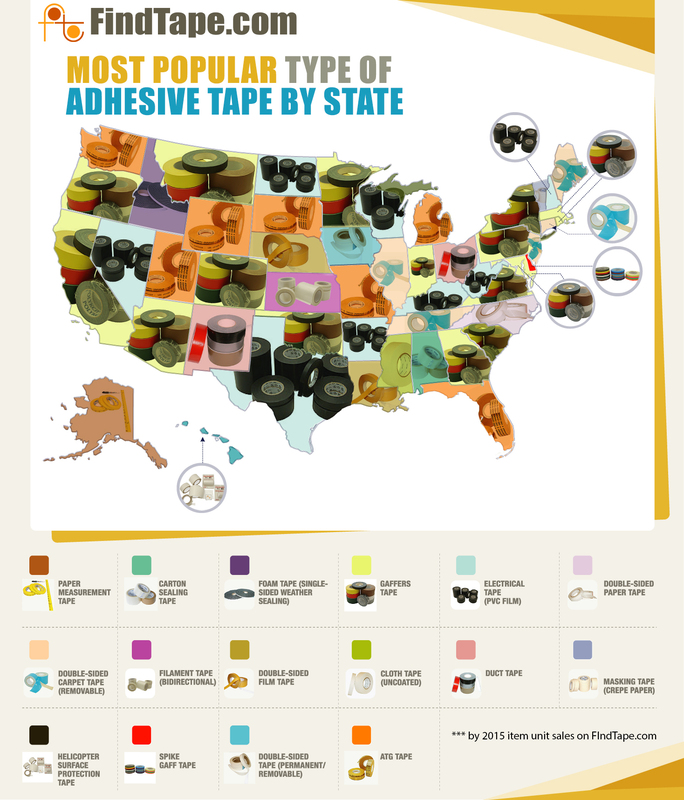 At FindTape.com we agree that the global gaffer tape market is strong and growing! Head over to FindTape.com and use our Advanced Tape Finder to see the largest selection of gaffers tape available for any purpose. We’ll help you avoid any tape gaffes. Global packaging industry has witnessed a number of technological advancement from last couple of decades. As packaging is unexecuted without the use of tape, the increasing demand for packaging from industrial sector in turn is creating huge opportunity for industrial tape market. 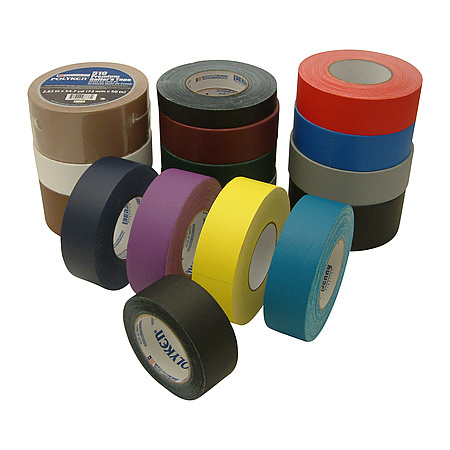 The introduction of gaffers tape over duct tape has provided the manufacturer a wide range of packaging advancement. Gaffer's tape which is also known as camera tape or spike tape is regarded as heavy cotton cloth pressure sensitive tape that delivers high adhesive properties. Through gaffers tape, now the manufacturers can use the tape on any kind of packaging material without the need for a solvent (such as water) or heat for activation. Gaffer tape is widely used in theatre, photography, film –television production and industrial staging works.